The meltdown of Japan’s Fukushima nuclear plant has sent shockwaves through the world’s atomic industry and Canada is not immune to the anti-nuclear sentiment sweeping parts of Europe. But industry insiders say soaring electricity demands and strict carbon emission targets all but guarantee nuclear’s place in Canada’s energy future. Three reactors at Fukushima's Daichi plant melted down in March after a deadly earthquake and tsunami struck Japan's northeast coast. In the three months that followed, Germany has announced it will phase out all nuclear plants by 2022 and Italy overwhelmingly voted against nuclear power in a national referendum. This week, the International Atomic Energy Agency is hosting a five-day conference in Vienna with officials from more than 150 countries on the future of nuclear power and how to make it safer. The IAEA is also expected to present its detailed review of the Fukushima meltdown, a report expected to be critical of Japan's preparedness, according to the Wall Street Journal. "There is just going to be wholesale sensitivity to the whole area of nuclear security that will see us engage in a whole review that is probably unprecedented." Despite the added scrutiny, some experts say nuclear power will continue to be part of the mix of methods to generate electricity to supply the ever-growing grid in Canada. That is, until other energy technologies can produce the same amount of jolt needed with similarly low carbon emissions. "The bottom line is that in North America, the issues around energy security and reliance on offshore sources of oil and gas will most probably continue to outweigh the concerns with nuclear," said John Luxat, the industrial research chair in nuclear safety analysis at McMaster University in Hamilton. "There is going to be very clearly a very careful review of nuclear safety and emergency preparedness based on the Fukushima event. But the impact of that, if anything, will just be to slightly delay the process that been undertaken in North America for new nuclear." Canada has 22 nuclear power producing facilities, located in Ontario, Quebec and New Brunswick, according to the Canadian Nuclear Association. Three are being refurbished – in Bruce Ont., and Point Lepreau, New Brunswick – while two units in Pickering, Ont. have been mothballed. In 2009, 17 of these reactors provided nearly 15 per cent of Canada's electricity and accounted for more than 50 per cent of total electricity production in Ontario. "If you took out nuclear today, and put them on to wind, you would have a lot of darkened shops," said Schmidt. Canada's energy demands are expected to grow by more than a third by 2025, according to the CNA. This blossoming demand, against stricter carbon emission reduction targets both domestically and globally, has prompted governments to look at nuclear power as a serious and viable option in meeting energy demands. For example, Ontario Power Generation said in 2010 it planned to refurbish the Darlington Nuclear Generating Station to extend the life of the plant. Construction is expected to start in 2016. But Tom Adams, an independent energy analyst based in Toronto, said attitudes towards nuclear power have shifted in the wake of Fukushima. "There is a huge change that has taken place in the world and we're just starting to see it seep in," he said. "The events on the nuclear side have happened at a time when the nuclear industry thought it could get restarted in the Western world. The long-discussed nuclear renaissance was already delayed and the industry was feeling very positive about its future. These events have caused everybody to rethink things." As governments come under more pressure to refurbish nuclear reactors and build new plants to meet more stringent requirements after Fukushima, the cost of the technology will grow, making it less attractive, Adams said. "I think the Canadian nuclear industry in its current form is not likely to be providing power to consumers years from now … in any substantial quantity," he said. "I think Canada is at the end of its nuclear rope. What I see is a wind-down, not a renaissance." Adams forecasts a shift towards other resources, such as shale gas, a type of natural gas that is relatively abundant in Canada and the US. But Luxat says that while the capital costs of nuclear are higher, the production costs are on par with renewables such as wind, he said. "The cost-per-kilowatt hour is comparable. It's actually comparable to coal, which is a relatively cheap fuel. The capital cost is higher, because nuclear is much more tightly regulated than any other energy source,” he said. “There is no other alternative currently available for bulk, large-scale, carbon-free and cheap, I might say, electrical energy. And we need it. Otherwise, we will no longer have a high standard of living." But with images of Japan's nuclear crisis still fresh in people’s minds and damage estimates that could reach billions of dollars, the general public may not be willing to take on the risks, said Shawn-Patrick Stensil, energy analyst for Greenpeace Canada. While Canada is not prone to massive earthquakes like Japan, it is vulnerable to storms and mechanical failures that could cripple the power supply needed to cool the system, said Adams. 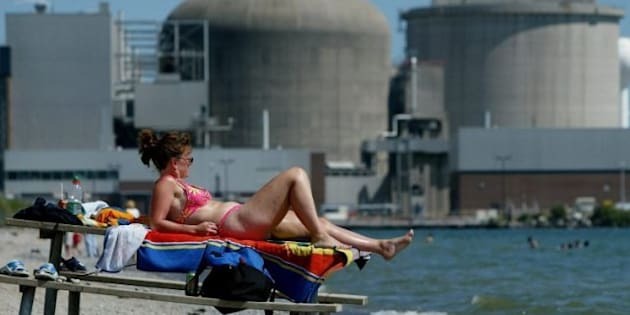 In August of 2003, the blackout that knocked out power in Ontario and most of the continent's northeastern region left the Pickering nuclear station without power, Stensil said. The station's cooling system was powered by grid-supplied electricity and was cut off for five-and-a-half hours. "Back-up power can fail by other mechanisms; you could have a plane crash, malicious action, there are all kinds of things that could cause a failure of the grid combined with a failure of back-up power," Adams said. "The fact that our geology is different from theirs is just changing the subject. The real subject is what are the things that can cause nuclear plants to go sour? And that is something that we have to look at very broadly." The Canadian Nuclear Safety Commission has already assembled a task force to examine safety regulations at the country's nuclear facilities. Schmidt says that Canada has a "cautious" approach to nuclear power and he expects the technology to continue to supply Canadians with electricity for years to come. Jeremy Whitlock, past president and board member of the Canadian Nuclear Society, who also works at Atomic Energy of Canada, foresees a short-term lull in the growth of Canada’s nuclear industry, but an expansion down the line, particularly in northern parts of the country. 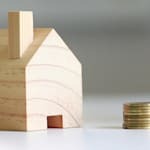 "Worldwide you're going to see a slowdown and in some cases you're going to see a stoppage, as every government takes time to reassess these questions, as we should. This is a major accident – this wasn't expected. And everyone will reassess, and we will see a slowdown, and some countries will take the extreme reaction of stopping building reactors. But the basic premise is that we need more energy anyway, and it has to come from something. " Still, the industry must up its game to reassure a wary public, said IAEA Director General Yukiya Amano at the conference in Vienna. "Public confidence in the safety of nuclear power has been badly shaken. However, nuclear power will remain important for many countries, so it is imperative that the most stringent safety measures are implemented everywhere," he said. "This is also true for countries opting to phase out their nuclear power programs, whose plants will continue to operate for many years. We need to respond urgently to the public anxiety caused by the accident, while maintaining a firm, long-term commitment to continuously improving nuclear safety. ‘Business as usual’ is not an option."